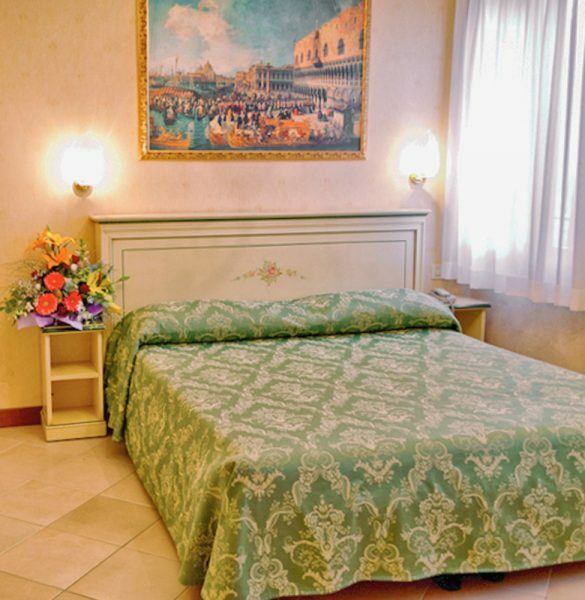 Located in the old town center of Venice, Hotel Florida is just a stone’s throw from the Santa Lucia Train Station, in a quiet Venetian lane near the romantic Grand Canal: the city’s most fascinating and enchanting “street,” and just a five-minute walk from the Piazzale Roma Terminal where you will find automobile parking and buses for the airports of Venice and Treviso. From Piazzale Roma you can reach Hotel Florida by crossing the Calatrava Bridge, a design touch to demonstrate that Venice is a contemporary city. Hotel Florida is in a strategic position because it can be reached on foot without using public transportation and because it allows visiting the magic attractions of the old town center, also on foot . If necessary, the stop for the vaporetti (the typical public transportation lagoon boat) is just 100 meters away, with lines that also go to the main islands Murano, Burano and Torcello.